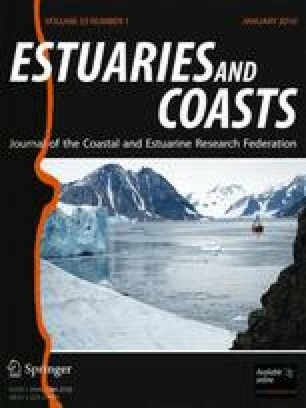 Organic Pollutants in Coastal Waters, Sediments, and Biota: A Relevant Driver for Ecosystems During the Anthropocene? The total number of synthetic organic chemicals introduced to the environment by humans has never been quantified, but it is not lower than thousands. A fraction of these chemicals have toxic effects to coastal organisms and presumably affect ecosystems structure and function. During the last decades, some of the processes affecting the transport, degradation, and fate of a limited number of chemicals have been studied, and the rising concern for environmental risk of organic chemical has lead to the regulation of a few of them by national and international organisms. However, the environmental inventory of organic pollutants is far from being quantified, and current methodologies used in most toxicological tests only allow to determine effects of individual chemicals to organisms. There are major limitations on appropriate methodologies to assess the effects of organic pollutants at population and ecosystem levels and the effects induced by complex mixtures of organic pollutants present in natural environments. The modification of the composition of the biosphere by a myriad of organic pollutants at ultra-trace levels is not yet regarded as another vector of environmental change which is irreversible due to the persistent character of many of these chemicals and due to its global coverage. Here, we claim that the modification of the atmosphere, water, sediments, and biota composition is a factor to be taken into account in coastal ecosystems, and that its pressure on the environment has been exponentially increasing during the last six decades of the anthropocene. Jurado, E., and J. Dachs. 2008. Seasonality in the “grasshopping” and atmospheric residence times of persistent organic pollutants over the oceans. Geophysic Research Letters. L17805. doi: 10.1029/2008GL034698.